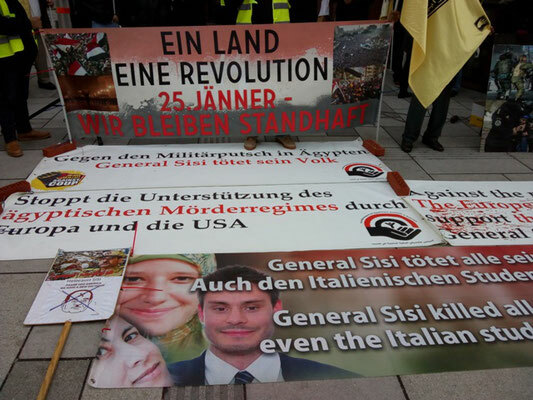 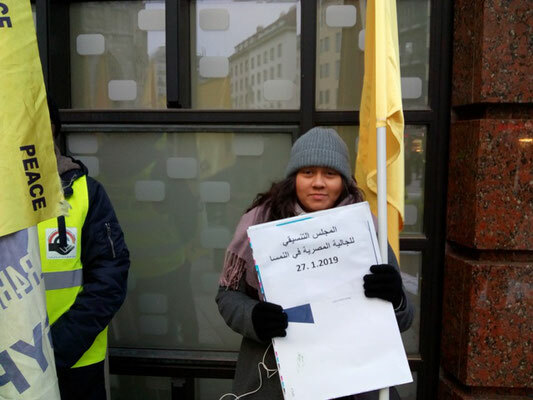 The Egyptian migrant community organized a rally in the centre of Vienna to commemorate the 8th anniversary of the Egypt Revolution. 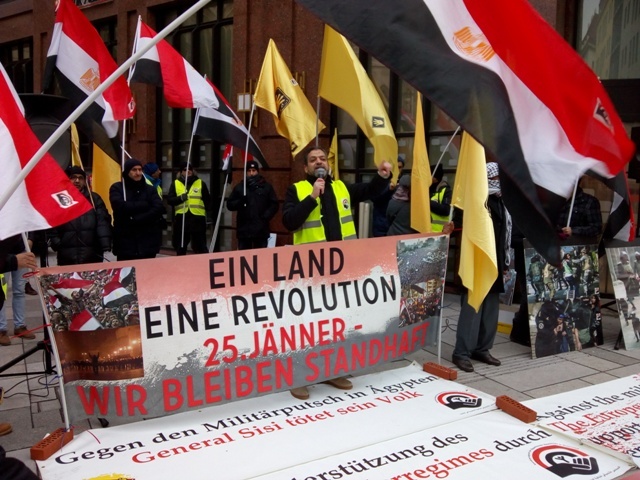 On 25 January 2011 Egyptian workers and poor toppled the regime of the dictator Mubarak. This was a huge achievement albeit the newly won democratic rights were crushed two and a half years later when General Sisi launched a military coup on 3 July 2013 and brutally smashed any resistance. Activists of the Austrian section of the RCIT attended the rally and our comrade Michael Pröbsting, International Secretary of the RCIT, addressed those gathered. 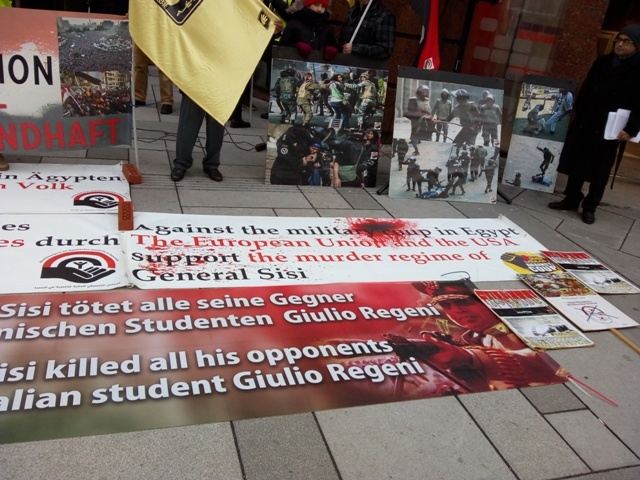 In his speech, comrade Pröbsting stressed the solidarity of the RCIT with the resistance of the Egypt people against the military dictatorship.